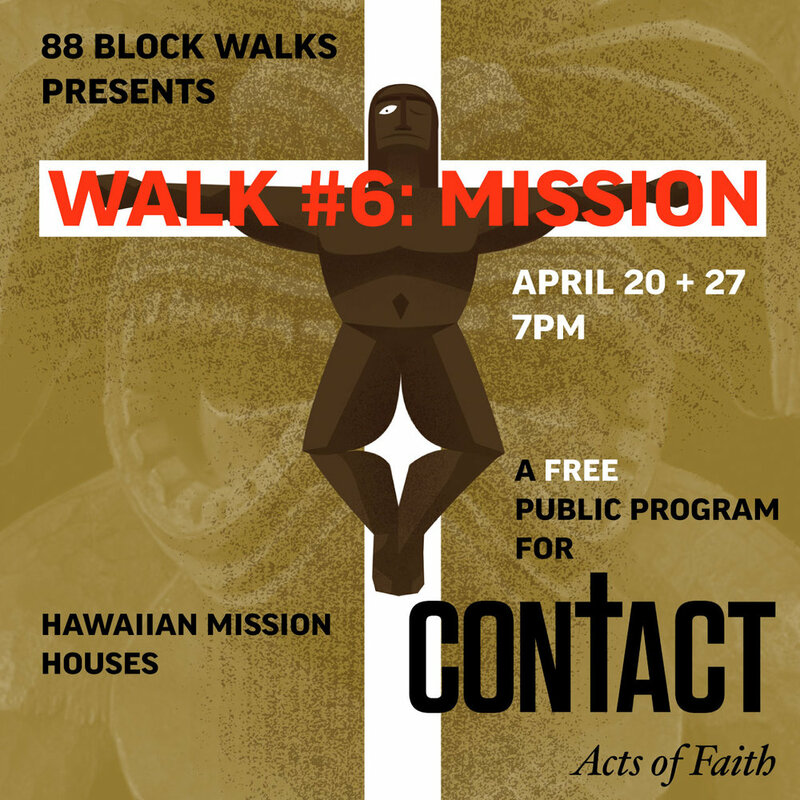 A walking tour of the Hawaiian Mission Houses Historic Site featuring live music, performance, and multimedia projections by CONTACT 2019 artists. This hour-long tour invites participants to experience an alternate version of the grounds, transformed by large-scale visual interventions that reimagine the physical and emotional geography of Western religion in Hawai‘i. Observations of 19th-century missionaries transpose with the reflections of contemporary artists, as we explore the effects of faith, culture, and colonization on our understanding of place. Meet in the Multipurpose Room (formerly the Café) at Hawaiian Mission Houses. Tour led by Adele Balderston. Original music by Emily Inouye Lau.